Little (film, 2019). A 2019 American fantasy comedy film with "PG-13" rating by Universal Pictures. Directed by Tina Gordon Chism. Official Trailer. 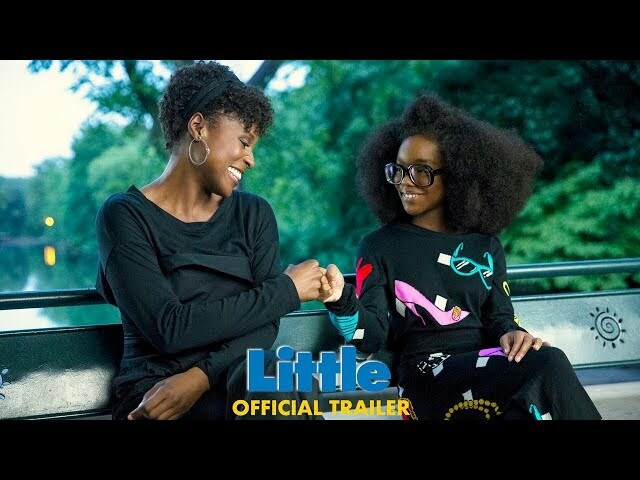 Little is a 2019 American fantasy comedy film directed by Tina Gordon Chism. 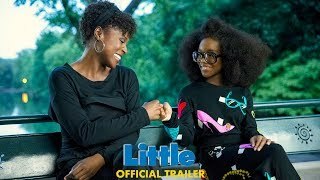 Little - Official Trailer (HD). A ruthless tech mogul, Jordan Sanders (Regina Hall) receives the chance to relive the life of her younger self (Marsai Martin) at a point in her life when the pressures of adulthood become too much for her to bear after a girl she offended wishes she was little. Jordan receives help from her overworked assistant, April (Issa Rae), to find a way to revert to normal. The film Little was scheduled to be released by Universal Pictures on April 12, 2019 (United States). The duration of the film is 109 minutes. With a budget of $20 million, the film grossed over $5.4 million. Little got average rating from critics. But the audience likes the film. Audiences polled by CinemaScore gave the film an average grade of "B+" on a scale ranging from A+ to F.